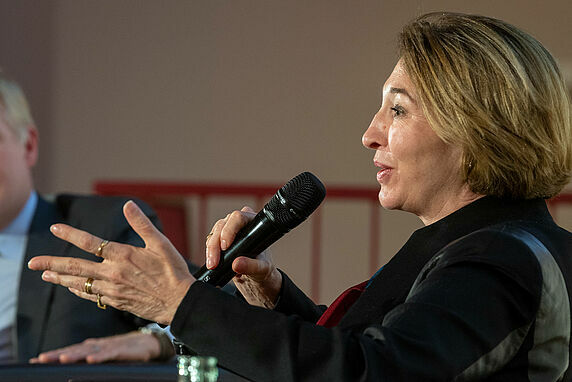 “People-centred, inclusive, experimental, data-enabled and connected,” – these are the five elements of the “new practice of public problem-solving,” according to US political scientist Anne-Marie Slaughter. 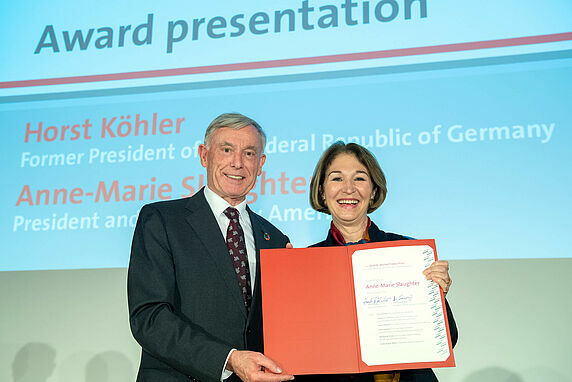 Slaughter outlined her vision for how government, civil society and the private sector must work together to solve problems like climate change, homelessness or work-life balance, in an acceptance speech for the 2018 Dr. Michael Endres Prize, awarded by the Hertie School of Governance on 8 October. 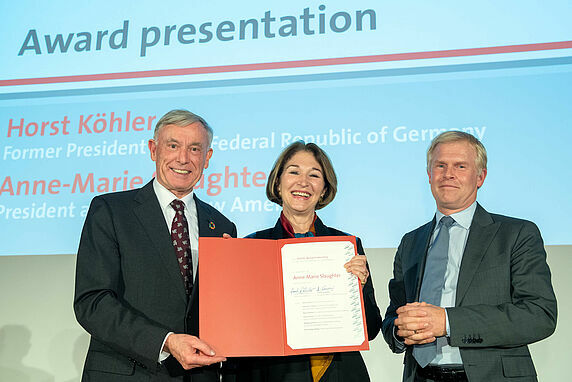 Slaughter is the second laureate to receive the Hertie School’s 50,000-euro research prize. She is currently President and CEO of New America, a think tank and civic enterprise with offices in Washington DC, and New York. 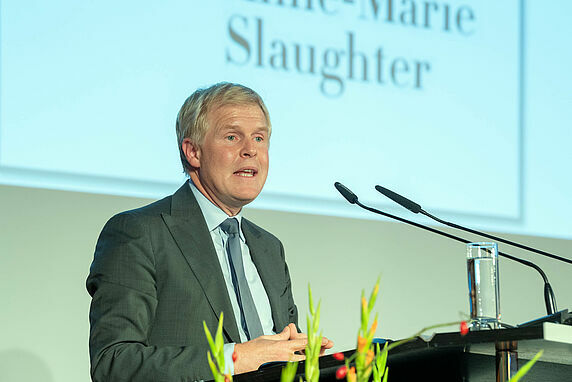 Slaughter has been involved with the Hertie School since its incipience in the early 2000s. 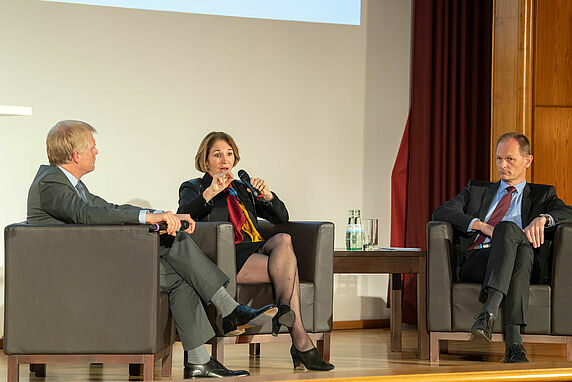 As Dean at Princeton University's Woodrow Wilson School in 2002, she was a member of the group assembled to shape the Hertie School’s mission. Much of the discussion centred around the school’s name, defining it as a school of “governance”, she noted in her speech. 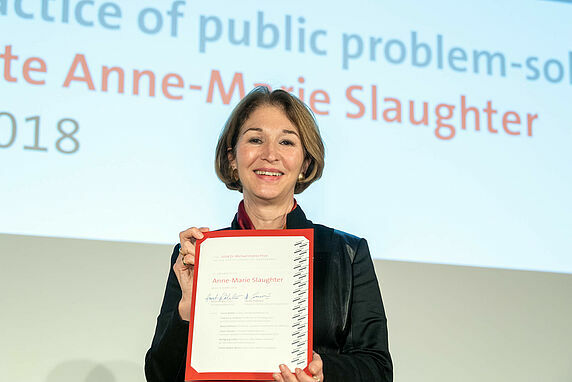 This reflected Slaughter’s own conviction that public problem-solving requires the joint effort of all three pillars of society: “All of you can work in government, but you can also work in the civic sector and the private sector – we need all three of those sectors to solve our public problems,” she told students in the audience. 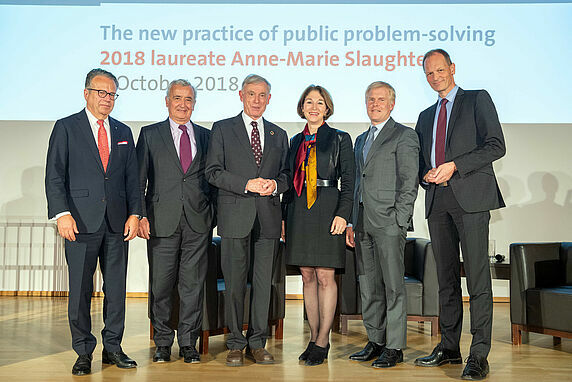 Slaughter’s vision for the new practice of public problem-solving “sees the person at the centre,” she said. 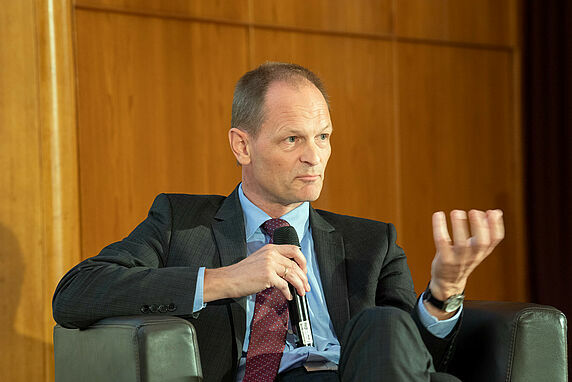 “We need to ask people how they see a problem and what they need as a solution – this sounds pretty common-sensical, but it is not the way government often functions,” she said. 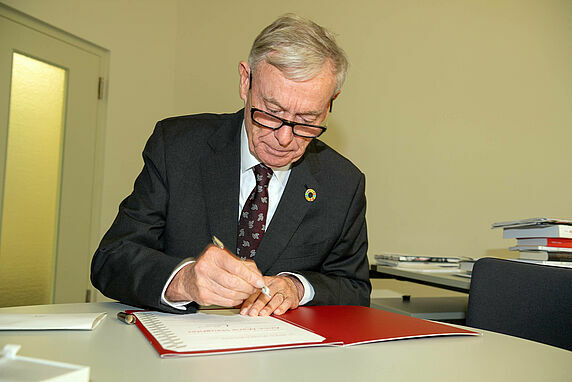 In the “old practice”, policies were conceived through research and analysis, presented to lawmakers or regulators, passed, implemented and “then we discovered the unintended consequences and started over to amend this idea.” A big difference today is that, “critically, civic and social entrepreneurs can practice from bottom,” she said. 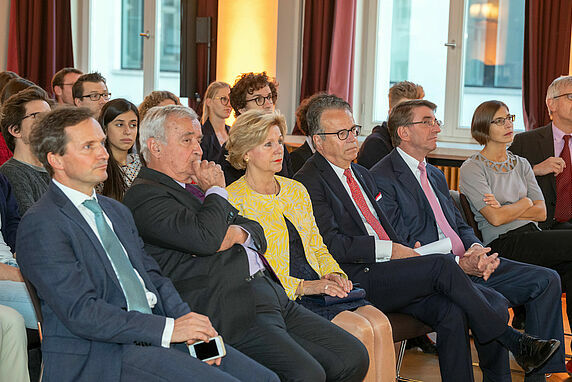 Following the ceremony and lecture, Slaughter, Enderlein and Thomas Bagger, Director of Foreign Policy at the Office of the German Federal President, participated in a panel discussion on the subject of future policy-making. 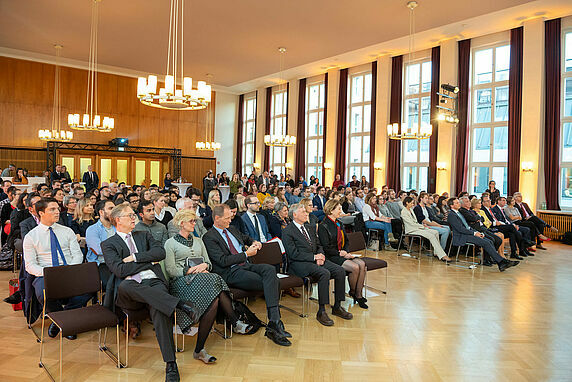 Earlier in the day, Slaughter co-taught a class with Hertie School Master of Public Policy students on Managing Non-Profits and Foundations, in which students had the chance to ask questions about her experience as head of a non-profit foundation. 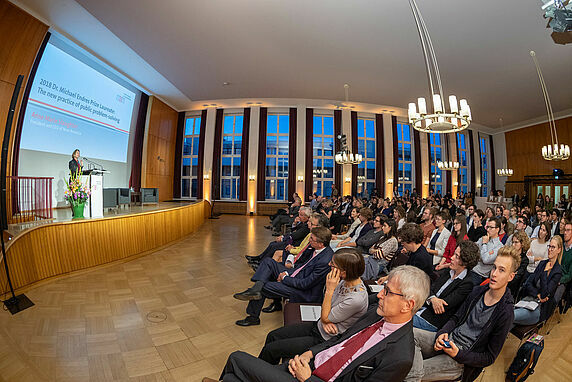 She will visit the Hertie School several times in the Academic Year 2018/19, where she will work with students on new methods of solving public problems and also hold a series of lectures. 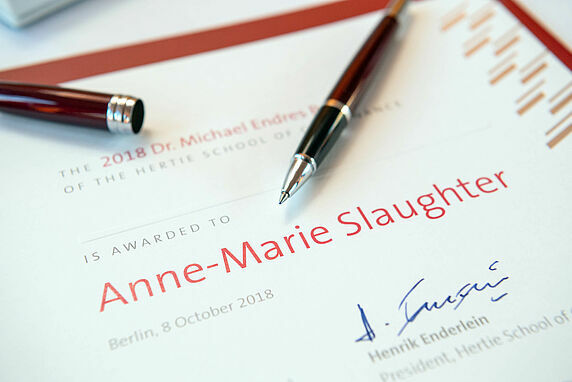 The Dr. Michael Endres Prize is awarded to renowned academics whose work centres on topics within the Hertie School’s research and teaching fields, and who have helped bridge academic research and policy-making. 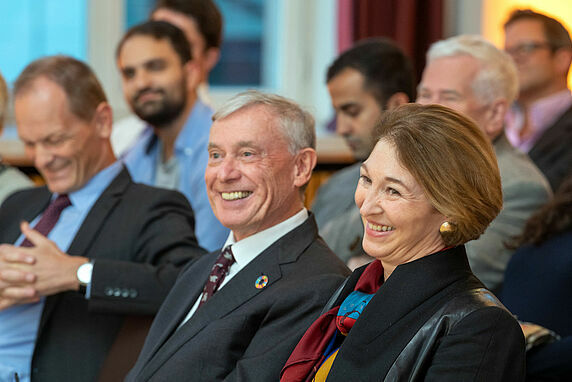 The prize is named for the long-time Chairman and current honorary Chairman of the Hertie Foundation’s Board of Trustees, Dr. Michael Endres, who was instrumental in founding the Hertie School in 2003 and who has helped guide its successful development since. 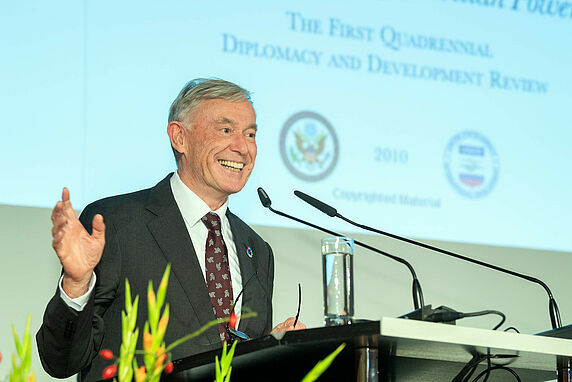 Former German President Horst Koehler headed the jury, which also included Maria Böhmer, President of the German UNESCO Commission, Helmut Anheier, former President of the Hertie School, Tanja Gönner, Chair of the Management Board of the Deutsche Gesellschaft für Internationale Zusammenarbeit (GIZ), Wolfgang Schön, Director at the Max Planck Institute for Tax Law and Public Finance, and Frank-Jürgen Weise, Chairman of Board of the Hertie Foundation.